gym is part of fastlane: The easiest way to automate beta deployments and releases for your iOS and Android apps. gym is a replacement for shenzhen. gym uses the latest APIs to build and sign your application which results in much faster build times. Since you might want to manually trigger a new build but don't want to specify all the parameters every time, you can store your defaults in a so called Gymfile. 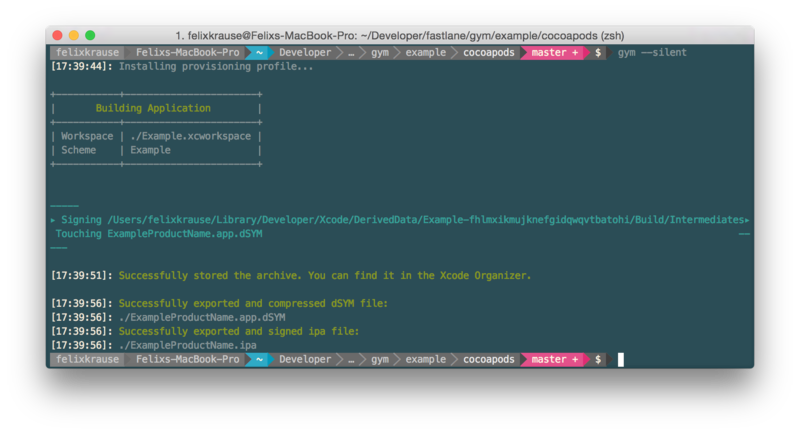 "com.example.bundleid2" => "Provisioning Profile Name 2"
Note: If you use fastlane with match you don't need to provide those values manually. For the list of available options run xcodebuild -help. gym works great together with fastlane, which connects all deployment tools into one streamlined workflow. When gym raises an error the error_info property will contain the process output in case you want to display the error in 3rd party tools such as Slack. You can then easily switch between the beta provider (e.g. testflight, hockey, s3 and more). When you run gym without the --silent mode it will print out every command it executes. After building the archive it is being checked by gym. If it's valid, it gets packaged up and signed into an ipa file. gym automatically chooses a different packaging method depending on the version of Xcode you're using. gym makes use of the new Xcode 7 API which allows us to specify the export options using a plist file. You can find more information about the available options by running xcodebuild --help. Using this method there are no workarounds for WatchKit or Swift required, as it uses the same technique Xcode uses when exporting your binary. Note: the xcbuild-safe.sh script wraps around xcodebuild to workaround some incompatibilities. output_directory: "path/to/dir", # Destination directory. Defaults to current directory. sdk: "iOS 11.1"        # use SDK as the name or path of the base SDK when building the project. gym         # alias for "build_ios_app"
build_app   # alias for "build_ios_app"
output_directory The directory in which the ipa file should be stored in . include_symbols Should the ipa file include symbols? include_bitcode Should the ipa file include bitcode? export_xcargs Pass additional arguments to xcodebuild for the package phase. Be sure to quote the setting names and values e.g. OTHER_LDFLAGS="-ObjC -lstdc++"
xcargs Pass additional arguments to xcodebuild for the build phase. Be sure to quote the setting names and values e.g. 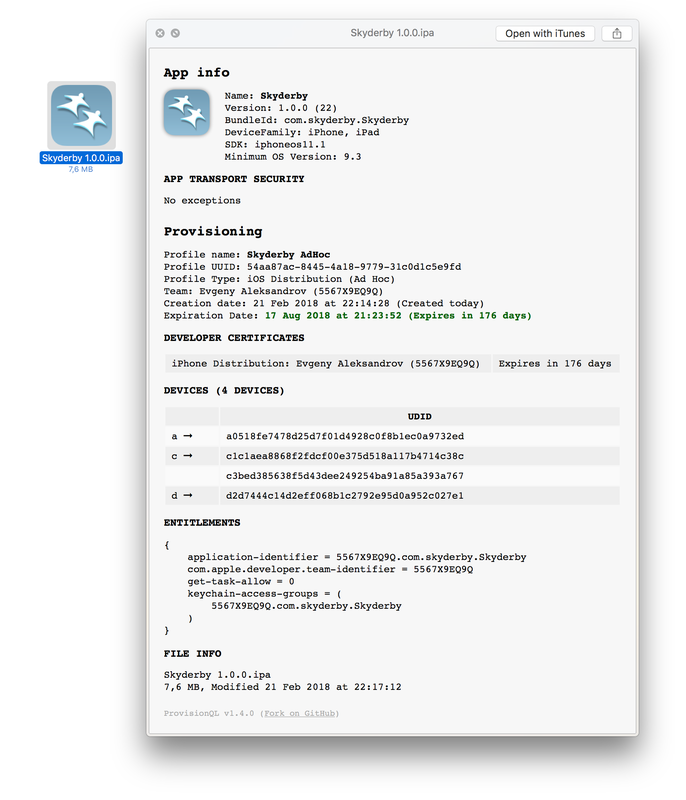 OTHER_LDFLAGS="-ObjC -lstdc++"
fastlane run build_ios_app parameter1:"value1" parameter2:"value2"